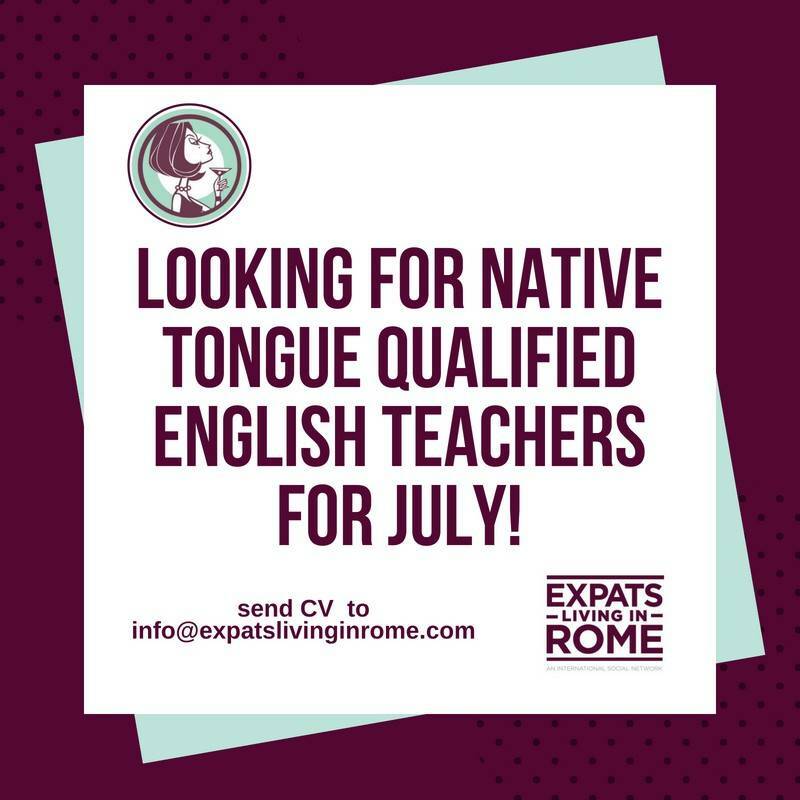 We are hiring teachers for part time 1 or 2 days a week from 9 to 5pm to teach english for a company outside of Rome near Monterotondo. Easy to get to by train. If you are qualified teacher with a certificate, native English speaker and here in July please apply.